Jose Mourinho admitted Chelsea’s porous defense is “a big concern” after his side lost 3-2 at Stoke on Saturday. The Blues manager appeared somewhat stunned after watching his Blues team go down to a late Oussama Assaidi goal at the Britannia Stadium. Andre Schurrle had given the visitors the lead in the Premier League encounter but goals from Peter Crouch and Stephen Ireland put Stoke in front before Schurrle made the scoreline level once more. However, Assaidi’s intervention meant the points stayed in the Potteries. “I don’t feel very comfortable to tell you exactly what I think about the game,” Mourinho told Sky Sports soon after the final whistle. “I prefer to be simple and pragmatic and say that we scored one goal less than them and we lost. “I can’t analyse with you certain aspects of the game, or individual performances. 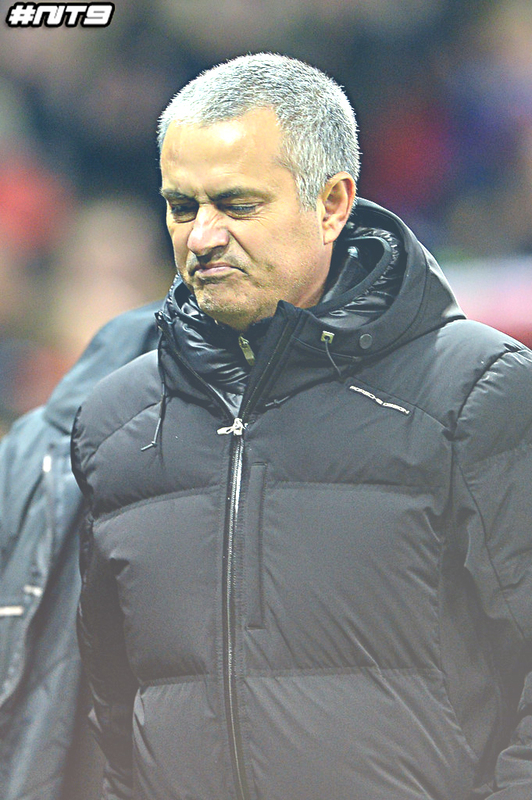 Mourinho was asked about his defence, having conceded six goals in back-to-back away games at Sunderland and Stoke. “It’s a big concern,” said the Chelsea boss. “I don’t organise my teams this way. Individual mistakes sometimes kill a team, and the way we work. “But, there are also the goals we didn’t score. In the first half, we had lots of occasions in which a simple movement and finish would have meant the job was done. We should score more goals than we did. “Our first half was fantastic. There was a great quality of football, and we dominated. We had dozens of situations when we won the ball back… but we didn’t kill the game. Having now dropped to third in the table, behind Liverpool on goal difference, Mourinho added: “I am not looking at opponents directly. I am looking to my team, and my performance. “The big problem for me is the way we play. The other day at Sunderland, we conceded goals at set pieces and today we had another one – but don’t speak to me about organisation, because it’s not about that. When asked what the differences were between his previous Chelsea team and the current squad, he said: “A few! A few very important differences. This team is developing step by step and little by little. Thou we lost but kudos to those guys, they really give some fight…… This team if some little subtraction and addition are done will beat hell out of any opponent. Something must be done on how to contest chances……. Just look at rami….. I know torres will never change….. Blue for life…. We have to get a new striker!!! Sell Ba and Torres, they couldn’t keep the ball and dribble any players!!! Play azpi like a right back!!! Play David Luiz or Ivanovic like a CB!!! Try to play schurrle like a false 9 while we get a real 9!!! Playing players out of position would most certainly end up in defensive mix up, I still don’t get the wisdom in playing Azpi on the left and pushing Mata out wide @ the right. Over playing some players would also lead to defensive lapses, Ivanovic and Ramires are looking and playing tiredly. Our style of play against Stoke City ensured the poor city team had a chance. How can Jose employ long ball tactics against Stoke when we have lots of short players and players that lack the aerial prowess to really challenge the Stoke defenders going forward? A more cohesive pattern of play is needed to unlock defences. @ola adelanwa do you think that our strikers are good enough for our team? Do you think that azpi play better like a left back than a right back? You can always play fantastic football and go to Europa League, or finish 5th in the EPL, 15 points away from the 1st place. Because that’s what I saw our Chelsea do last year. Playing well? Yes. Winning games? No. Give Mou time, this is a long-term process, and he will not be leaving anytime soon. Its because of fans like you that Chelsea has had 11 managers in a decade. Mike, thank you for the kind words. I have enjoyed rdnaieg your novel and look forward to the next one. It is good to know we are not on this journey alone. It’s also the little things that make it worth while. So I agree with you, we have much to thank independent publishing for.